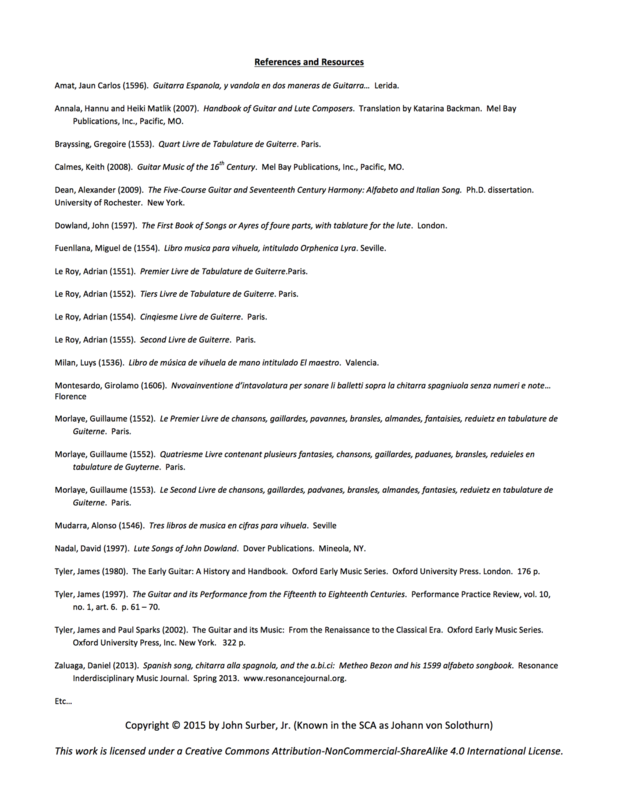 I taught versions of this class at the Cooks and Performers Symposium and Atlantian Summer University, 2015. 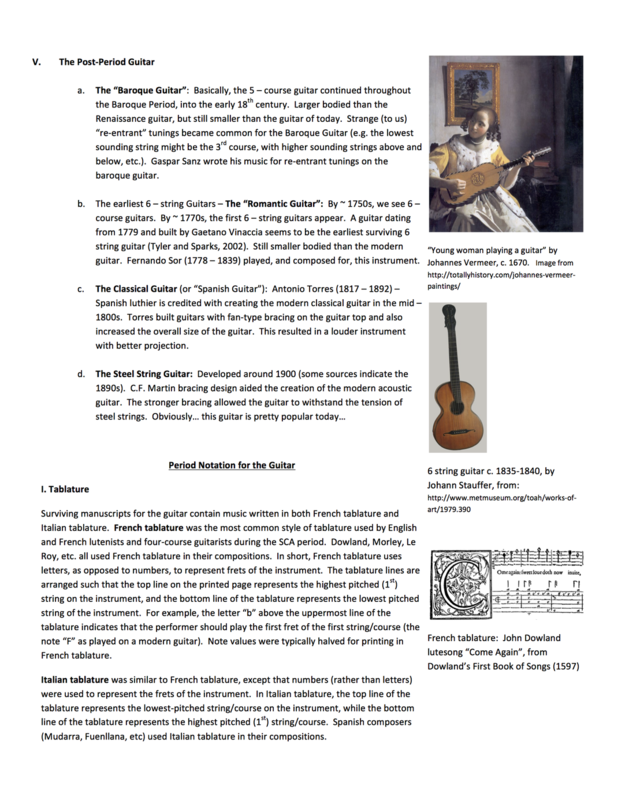 At Summer University, my intention was to cover 1) The history of the guitar, 2) Period notation for the guitar, lute and vihuela, and 3) A brief overview of late period guitar, lute and vihuela music and composers. Needless to say, I was not able to cover all the material in one class period! 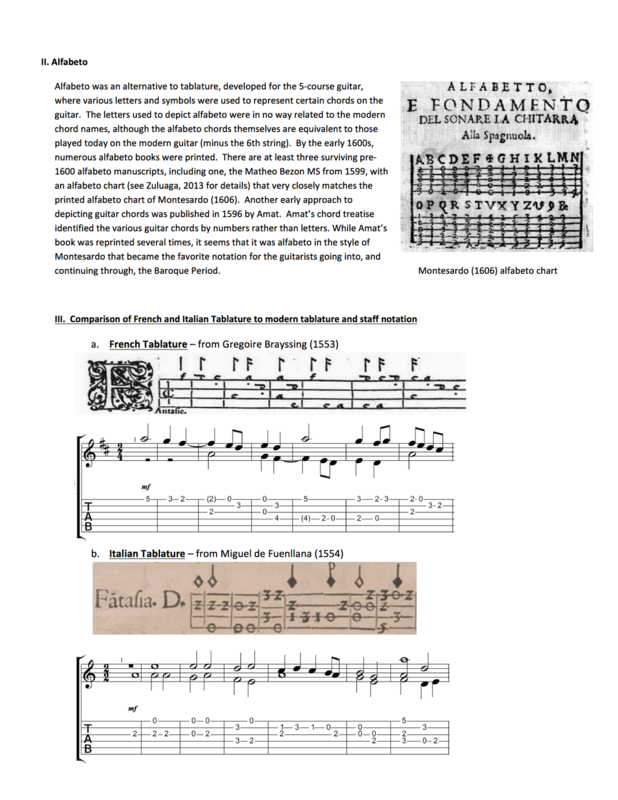 I was barely able to cover the material presented below (History of the Guitar) and a very brief introduction to french and italian tablature. 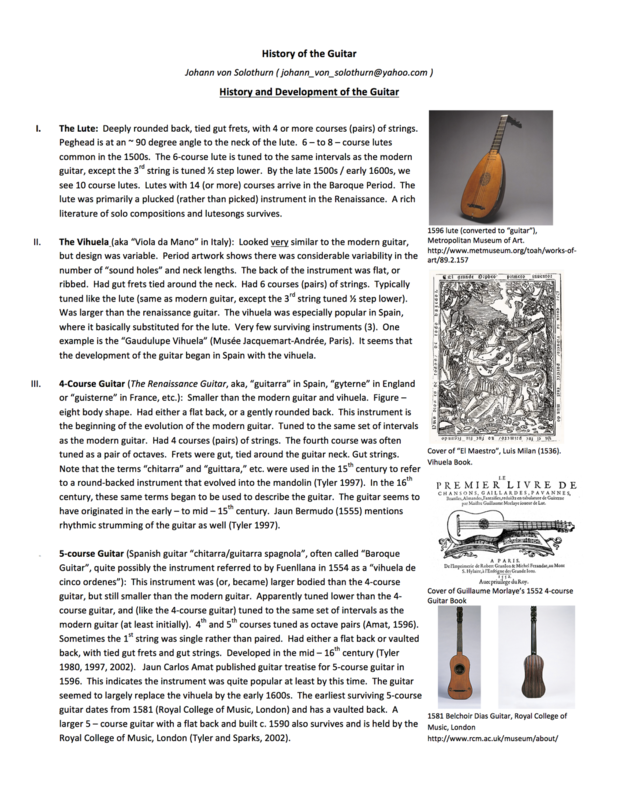 So, this class will be offered in the future as the stand alone "History of the Guitar" class. I have broken the original class into 3 separate classes, and may in the future break it down further to give adequate time to cover the material.